Briers Basketball, in partnership with Special Olympics Ontario, are providing their Partners in Play basketball program for individuals with an intellectual disability. The program will teach participants the FUNdamentals of basketball, but will also be a terrific opportunity for these athletes to engage with their peers, get involved in a social setting, and have fun! This program will provide individuals with an intellectual disability the opportunity to learn the sport of basketball in a fun, inclusive, and structured setting. Participants will be able to engage in this Learn to Play program that is close to home, accessible, and run by knowledgeable coaches and volunteers. The program duration is 8 weeks, with the 1.0 hour sessions starting mid March. Each weekly session is divided between free-play, instructional sessions (skills and drills), and games. Those interested in participating, please contact us (info@briersbasketball.ca) for additional information. Participants are to provide their own basketball. 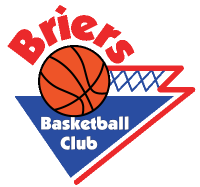 © 2007-2018 Briers Basketball Club. All Rights Reserved.